Prestigious Catering Limited is a family run business. We are a husband and wife team, supported by our two daughters and a staff of 35, providing first class contract catering in multiple locations within the London Boroughs. We are very “hands-on” and are heavily involved in the day-to-day operation of the business, the standards we strive to achieve can be evidenced in that we still hold our first ever contract, at The Priory Academy in Orpington, which we were awarded in 1992. Crucial to the success of Prestigious Catering Limited has been our hard working, enthusiastic staff. We recruit locally, promote from within and offer career progression and many staff members have been with Prestigious Catering since its inception. We work as a team, passionate about offering clients healthy, tasty meals and snacks, combined with high standards of personal service. We maintain clear lines of communication to the management team for customers, clients and staff and on a daily basis, one of the management team is on site at every location. We are all passionate about providing competitively priced, nutritious and tasty food, made from locally sourced ingredients. In our schools and our cafes we offer a wide range of delicious breakfasts, lunches and afternoon teas. Our eggs are fresh, from a local farm with free-range chickens, meat is locally sourced and Fair Trade coffee beans are freshly ground for each cup of coffee. In addition to producing healthy food, we are members of The Sustainable Restaurant Association (SRA). Sustainability is an important part of the ethos of Prestigious Catering Limited, reflected in our working practices. We have been awarded two stars by the association for our work in environmental matters, staff training and pastoral care. We have been awarded the highest 5 Stars by the Environmental Health Agency for our hygiene and safety compliance. 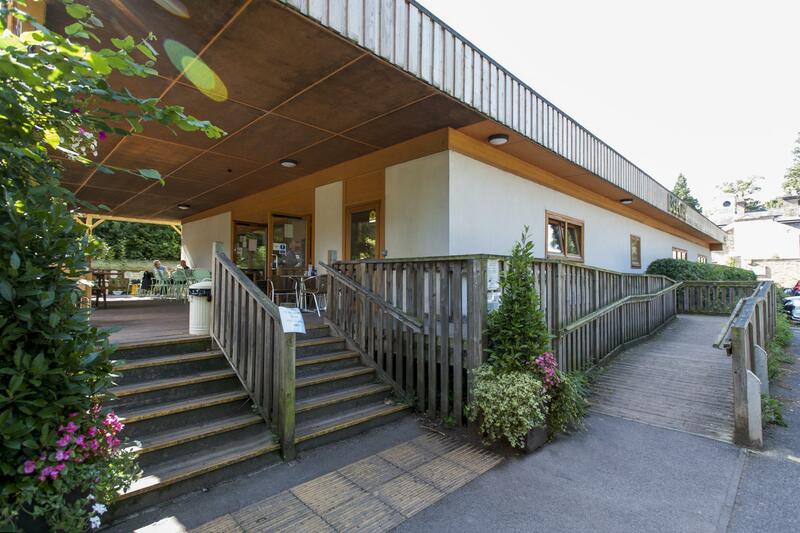 Situated within the unspoilt countryside of High Elms Country Park, The Green Roof Café offers a welcoming and relaxing ambience, personal service and excellent food. 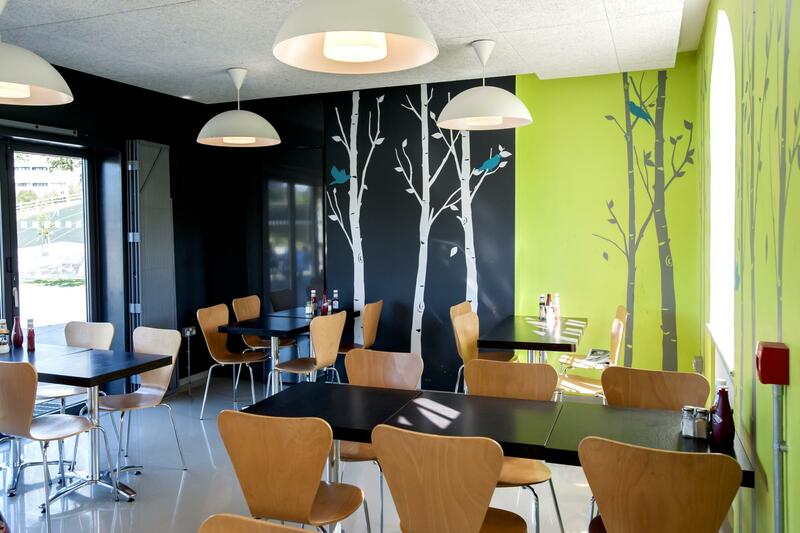 The menu includes delicious breakfasts, sandwiches made from crusty bread, lunches and mouth- watering cakes. 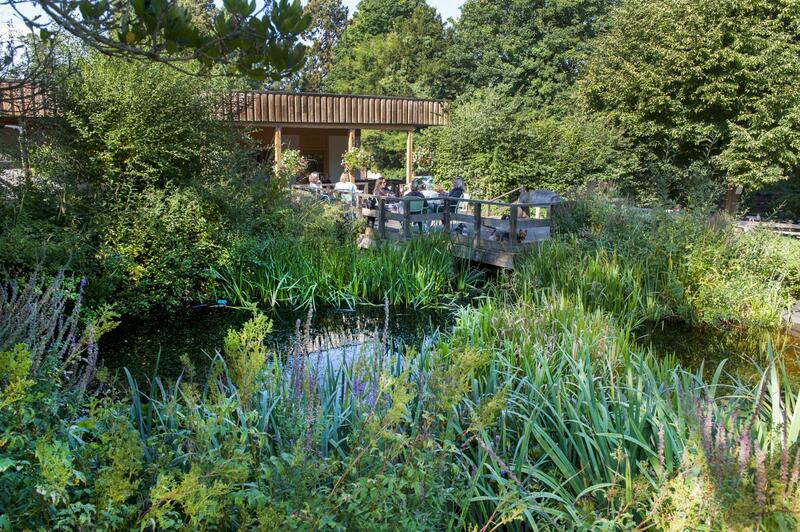 Open seven days a week from 10am to 5pm, with free parking, it is a popular destination for bikers, hikers and dog walkers who enjoy bluebells and baguettes, cakes and stunning scenery. The Green Roof Café has indoor and outdoor seating and its loyal following of canine friends always find a welcome bowl of water, chews and the occasional sausage. Open seven days a week, Prestigious Catering Limited is dedicated to providing high quality food at the Park Life Cafe, using the best locally sourced ingredients where possible. Our staff are friendly, our menus extensive and we deliver the highest standards of hygiene and safety compliance. 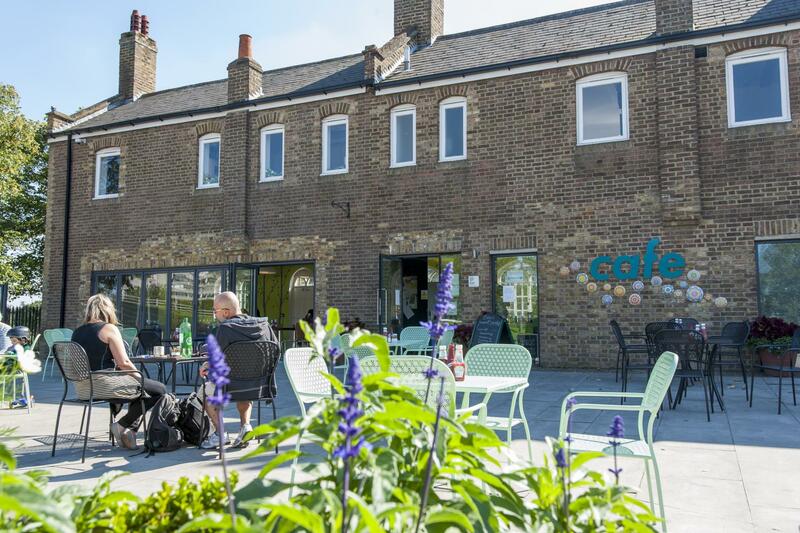 Situated in the centre of Burgess Park in the London Borough of Southwark, The Park Life Café provides delicious, healthy food and is the perfect partnership for the 21st Century Park. After an £8 million regeneration programme, the park has a lake, playgrounds and superb sports facilities. It offers an escape from the stress and frantic pace of city life. Somewhere to relax. Meet friends. Enjoy good food. Prestigious Catering Limited provide tasty meals, which are prepared on site and our menus are based on fresh foods with less fat, sugar and salt. Every day we offer a selection of well-balanced meals, incorporating protein, carbohydrates, vegetables and salad, followed by a choice of homemade desserts or fruit. There is always something to tempt a discerning palate, such as pasta, chicken or jacket potatoes and we operate a strict nut free policy. Prestigious Catering Limited run a popular breakfast club which opens at 07.45am. We work hard to provide well balanced diets for all our students and know that healthy eating is central to concentration levels and can have a positive impact on good eating habits for life. We serve approximately 250 primary students a day, an uptake of 75% of the school, which is significantly above the national average. We run regular theme days such as Halloween, Easter, and Food from around the world week, which all prove extremely popular with our young customers. Situated within the brand new Bexley Civic Centre, Prestigious Catering Limited run this very popular coffee shop and sandwich bar. We are open from 8am to 4pm Monday to Friday, serving both the public and many of the 850 council staff. We have a loyal clientele, who enjoy their daily cup of freshly ground Fair Trade coffee and freshly made sandwiches. Our bread is freshly delivered daily from a local bakery and we bake our baguettes on site, we offer a wide range of tasty and tempting fillings. All sandwiches and rolls are made on site with a strict “made today, eat today policy”. At Prestigious Catering Limited, we pride ourselves on our low carbon footprint and responsibility to sustainability. We can confidently state that we are the only catering company who use packaging materials, which are 100% biodegradable. Not even the big brands or any of our competitors can make that claim. Prestigious Catering Limited was awarded the contract to provide school meals at The Priory Academy in 1992. We are proud to still hold this contract and regularly feed up to 1,000 students daily, providing nutritious and healthy meals prepared on site, for breakfast, breaks and lunch service. We believe in healthy well balanced diets, with less fat, sugar and salt, thus impacting positively on student behaviour, concentration and participation in lessons. We have kept true to this philosophy at Prestigious Catering Limited PCL and we were offering healthy food to our students when Jamie Oliver was still at catering college! © Copyright by Prestigious Catering Ltd. All rights reserved.